One of my favorite quotes of all time comes from Abigail Adams. It's the first sentence I used on my resume when I was in the workforce, because it says so much in such few words. She once stated, "Learning is not attained by chance, it must be sought for with ardor and attended to with diligence." Diligence is an area of my life that is in constant need of attention. I start lots of projects that far too often take me weeks, months or even years to finish. It’s not that I don’t want to be diligent, because I do, but diligence is hard work. It takes a lot time and a great deal of effort. We’ve all heard if we just have faith as a grain of mustard seed, nothing shall be impossible. So what does faith have to do with diligence? Faith isn't just saying a prayer and the rest is up to God. You see in Matthew 17, a man brings his lunatic son to Jesus for healing. No doubt, the boy's illness had left him with scars from head to toe...his spasms had tossed him into the fire time and time again. His father told Jesus that he'd even fallen into water over and over again. Perhaps he'd almost drowned. Can you imagine the pain that father felt watching his son struggle with an uncontrollable disease all those years? Surely, the father had prayed...wouldn't you if it was your child? We even learn that he'd brought his son to the disciples, yet that effort was futile. Jesus was the father's last hope...and the healing came. But why? Wasn't that father's prayer enough? Why couldn't the disciples heal him? Why is it we aren’t able to perform miracles? 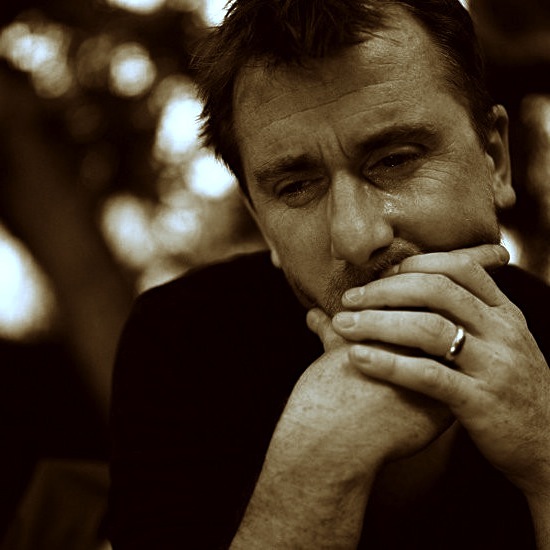 Why are we losing so many of our loved ones to cancer or other incurable diseases? Why does it seem the Gospel isn't enough and so many are perishing without Christ? 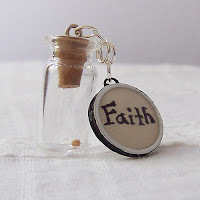 Don’t we have faith as a grain of mustard seed? Clearly, Jesus is letting the disciples know something really important here in this passage of scripture. The funny thing is, we, much like the disciples at first, have gotten it all wrong…and I have to credit my husband for teaching me this. So if it isn’t the size, what is it? Look at verse 21. What does Jesus say? He says, "This kind goeth not out but by prayer and fasting.” Did you get that? PRAYER AND FASTING!! How MUCH do you pray? I'm truly ashamed of my lack of diligence in prayer. I might make a slightly more intense effort when there’s something important to me, but to "attend" to prayer diligently, I really do not. Prayer is HARD work! Seriously! Think about it, when Jesus prayed in the garden of Gethsemane, not only did He pray for ONE HOUR (Matthew 26:40-41) but He prayed so diligently that His sweat became drops of blood trickling from his brow (Luke 22:44). He was working hard! What about fasting? Have you tried it before? It’s hard. I once fasted for 40 days and at first it was the hardest thing I’d ever done in my life. Fasting is hard work! It's not starving yourself...fasting is a spiritual undertaking...clearly with monumental consequences according to Christ!! It takes so much effort to turn away food when every social gathering in our world practically revolves around it! So what exactly is Jesus trying to tell us here? He’s telling us our faith is going to take some work…and not just a little bit of work, but some HARD work. That’s where diligence comes in. Being diligent is the only way to move those mountains. Remember diligence means…steady application, constant effort, exertion of body or mind without unnecessary delay or sloth; due attention. So why the mustard seed? Because, while a mustard seed CAN grow to great heights, it can ONLY do so when it is cultivated. I really needed this Sissy!! Thanks Sometimes my Faith gets very weak. I'm learning so much about prayer and fasting lately as well. I read this exact scripture passage last week and the "these do not come out except by prayer and fasting" part really hit home for me. I'm a reading a book called "The Circle Maker" by Mark Batterson and it's all about the power of prayer. You're right, it IS hard work and takes so much discipline and diligence. But what an honor to be able to commune with our God in such an intimate way. I long to make it a life-habit! Thank you for sharing your heart on this! Thank you for reading Ashley! There is so much we all have to learn. I will have to check out the book you are talking about. Another good book on prayer is "The Hour Changes the World". It gives a guideline for how to pray for an hour, just like Jesus asked of His disciples. Looking forward to checking out your blog too! Have a wonderful day! Just reading this and am so inspired. I'm feeling led to challenge myself in this area. Thank you for sharing your heart and gift.